At least they grabbed him before he skipped the country. Maybe someone should be asking the MBTA how a stranger had time to do so much damage without being spotted. We're lucky he was painting the train and not doing something that could cause harm to others. Caught a set yesterday (didn't get the number) with new ASA firmware that has Frank now announcing the "elevator service on center platform" standard operator spiel at Park St. First time I'd ever heard that. I think that's been on for at least a few weeks now. Perhaps it's been slow to be propagated throughout the whole fleet. F-line to Dudley via Park wrote: Caught a set yesterday (didn't get the number) with new ASA firmware that has Frank now announcing the "elevator service on center platform" standard operator spiel at Park St. First time I'd ever heard that. I don't think that announcement is Frank. It sounds like a different person (and yes I'm aware he sounds different on different equipment and recording sessions but this doesn't sounds anything like any of his other recording I've heard). It's not Frank. The voice seems to have a slight attitude to it. diburning wrote: It's not Frank. The voice seems to have a slight attitude to it. BTW, why is there STILL no "doors open on the left/right" addition to the 1800s' ASA??? Green and blue have it, and you KNOW the motormen aren't going to make the announcements anymore once OPTO kicks in (they wont be able to realistically drive the train and do announcements--been on the orange line recently?). I can't say I've noticed a change in the orange line announcements. What he's saying is that without automatic announcements, the operators will not make them under OPTO. I didn't realize it, but thinking about it, he is right. The Orange Line operators are getting very skimpy on the announcements now that they're running on OPTO. BostonUrbEx wrote: What he's saying is that without automatic announcements, the operators will not make them under OPTO. I didn't realize it, but thinking about it, he is right. The Orange Line operators are getting very skimpy on the announcements now that they're running on OPTO. Sounds like a supervisory issue. 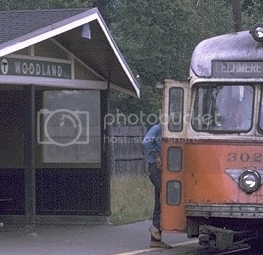 Blue Line operators didn't seem to have a problem making announcements when the 0600's were in service. Sounds like a training issue or just the operator just dosent care or the PA was out. What!!? ?...............Rob, are you saying we can't see out the front of Red Line 1800's anymore, because of this new development? Well, we still can. But we'll onl;y be able to do so on an odd #'d car, the Stryler Evacuchairts are ONLY being installed on the EVEN #'d cars. Only way we wont see out front is if the worker places an ad card on an odd # 01800 car. Now, as fars as my observations are concerned, most even #'d 01800 cars have the Evac-Chair already installed.